Aston Martin has one of the richest and most prestigious heritages in motoring history: experience the iconic brand that defines Power, Beauty and Soul. 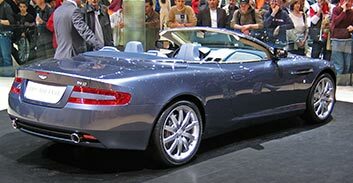 We provide Aston Martin hire in Munich, Frankfurt, Stuttgart, Berlin, Düsseldorf and most other major cities in Germany. 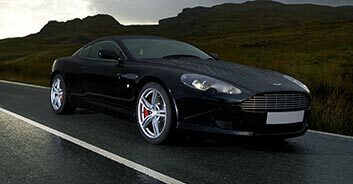 We can deliver your Aston Martin rental to your home, airport or hotel. Hire an Aston Martin in Germany today. Aston Martin Racing brings you the new Vantage, which has had a makeover both inside and out. There is plenty to love about this sports car - hire it and join the band of Aston Martin fans. More powerful than the original Vantage and an Aston Martin that lives up to the brand’s classy heritage. Drive this and feel like you are sailing down the highways of Europe. Beautiful to look at and sensational to drive, this Aston Martin is a dream car. If you have never driven one; add it to your bucket list. Everyone loves the DB range and Aston Martin is securing the legacy of this model with the launch of this Mercedes-engined model that is a dream car at any speed.